The Hey Dude Wally L Sox will be an instant favorite in your modern-casual collection. Bi-component knit upper material offers a flexible fit. Lace-up construction. Rounded toe. Low-top, chukka construction. Signature logo details throughout. Soft, oxford cloth lining. Memory foam cushioned, removable insole. 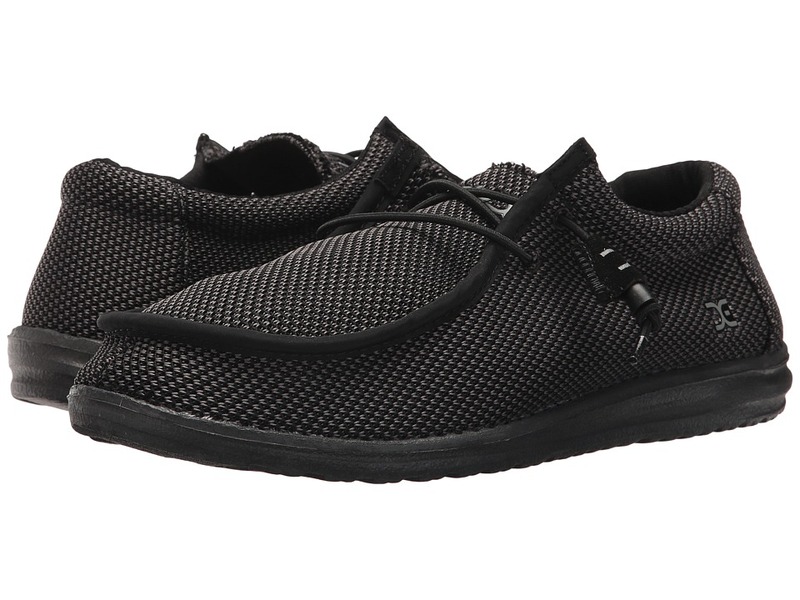 Ultra-light, lugged synthetic outsole. Imported. Measurements: Weight: 6 oz Product measurements were taken using size 11, width M. Please note that measurements may vary by size. Weight of footwear is based on a single item, not a pair.